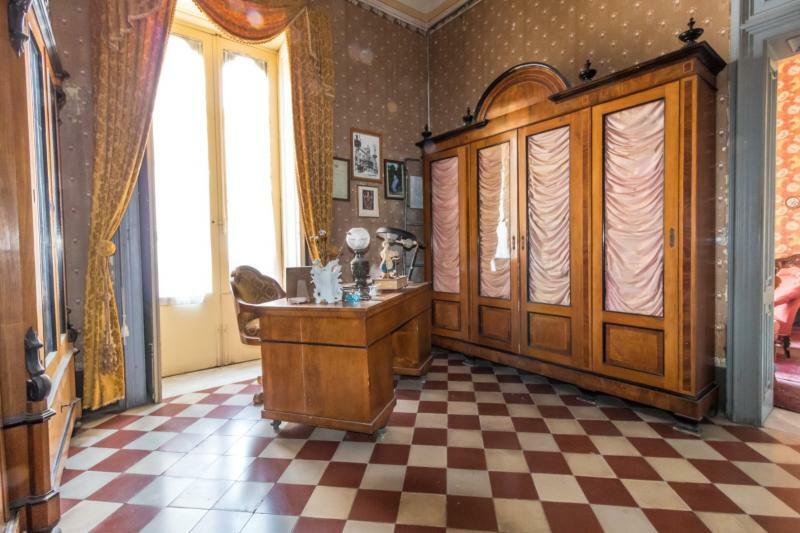 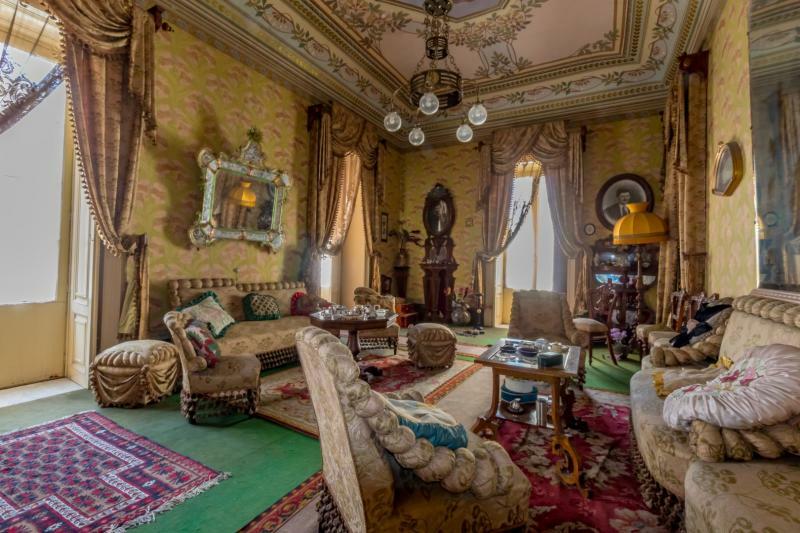 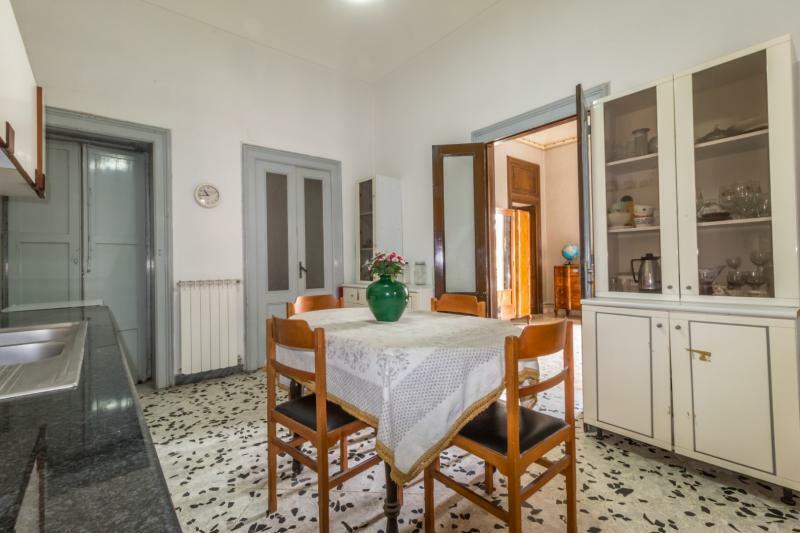 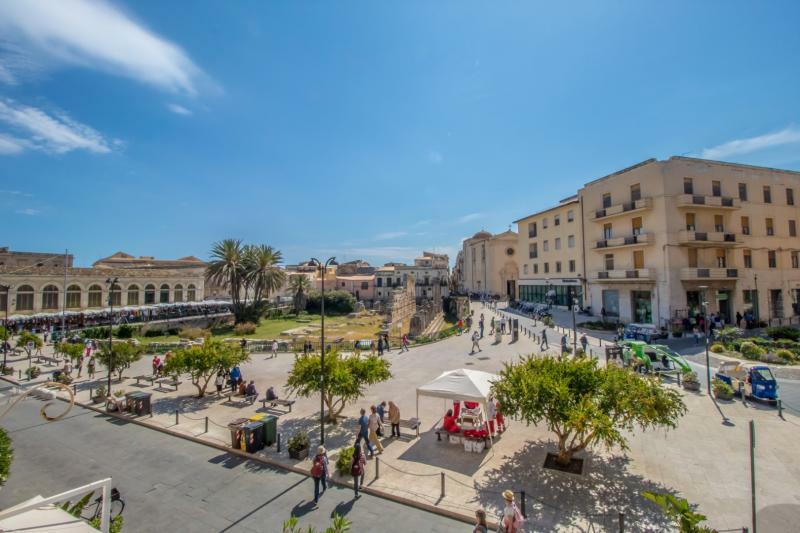 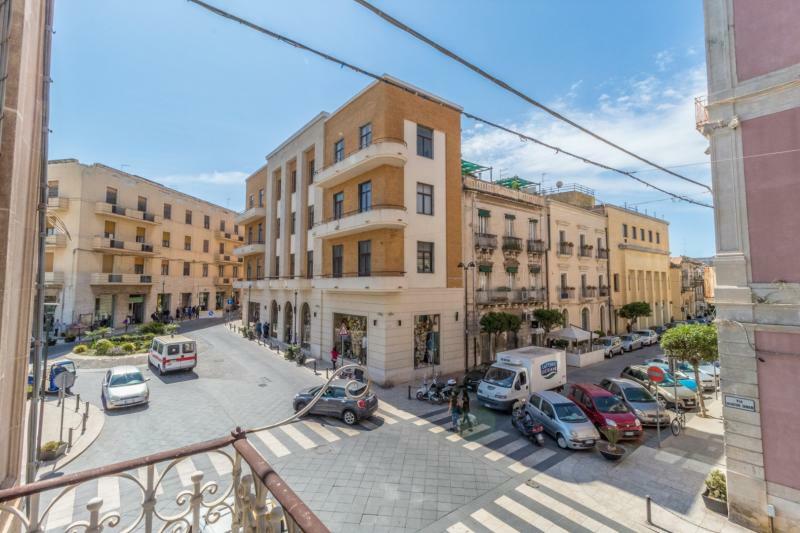 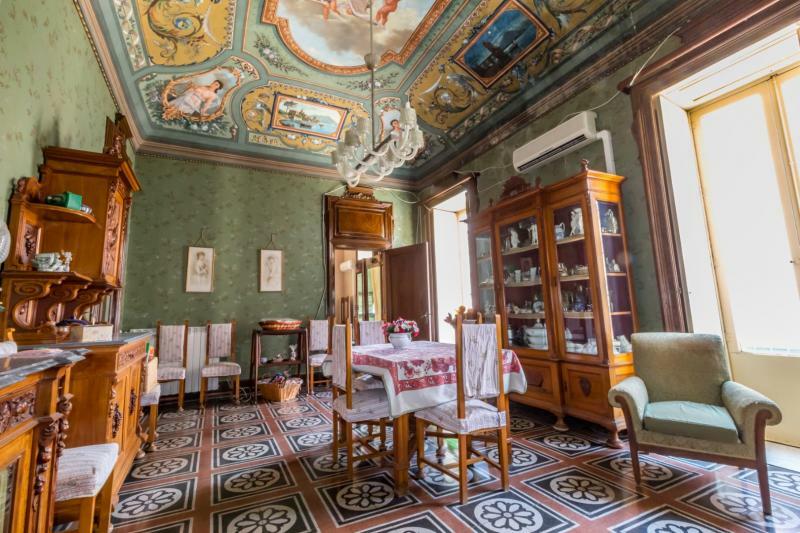 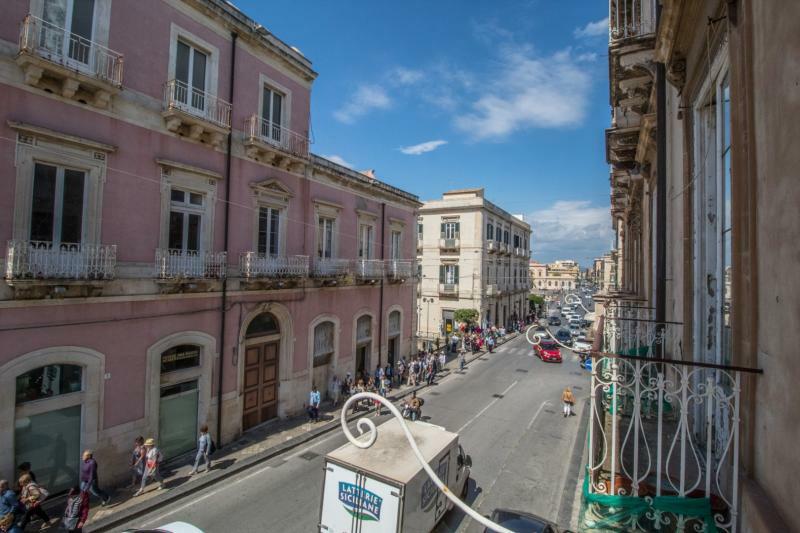 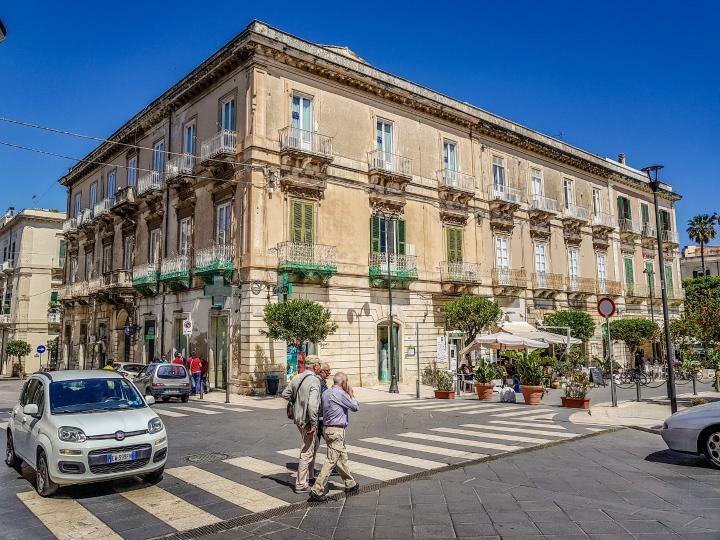 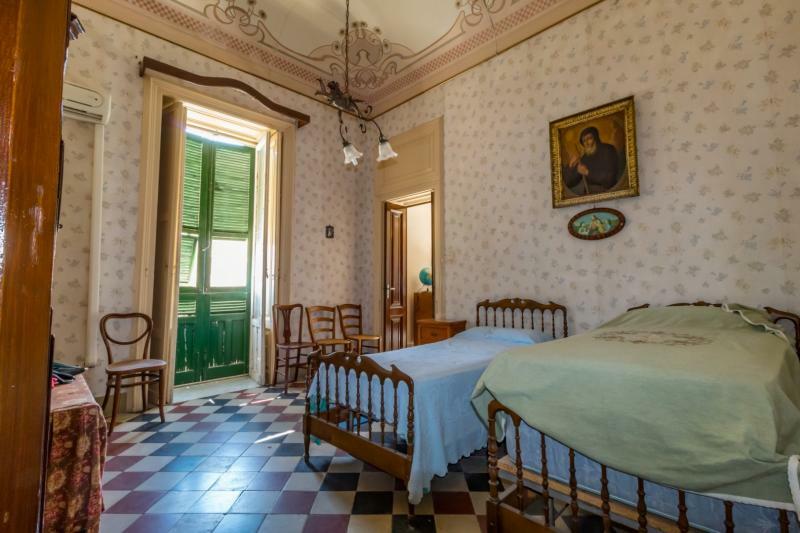 SIRACUSA, ORTIGIA, TEMPIO DI APOLLO: Buy in Sicily - Real Estate offers the exclusive sale of a magnificent apartment in the heart of the beautiful island of Ortigia, on the main floor of a late 19th century building, in front of the temple of Apollo. 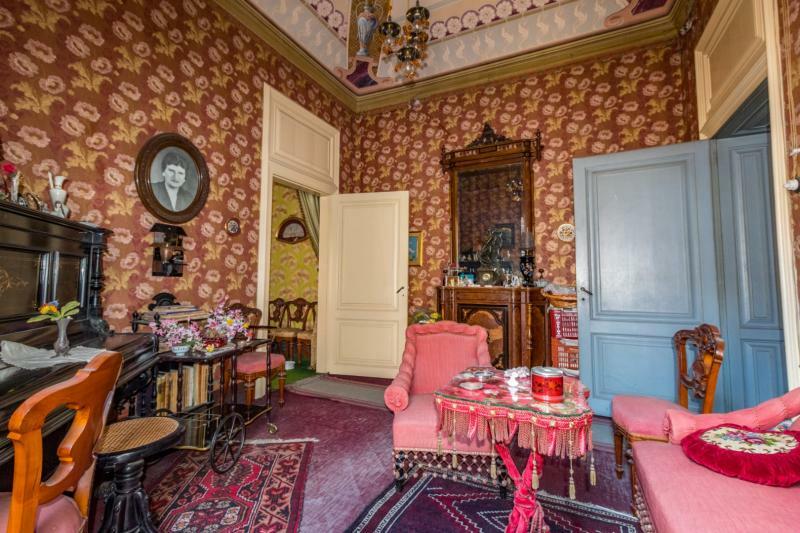 The house is accessed by an imposing wooden door dominated by the main masonry balcony. 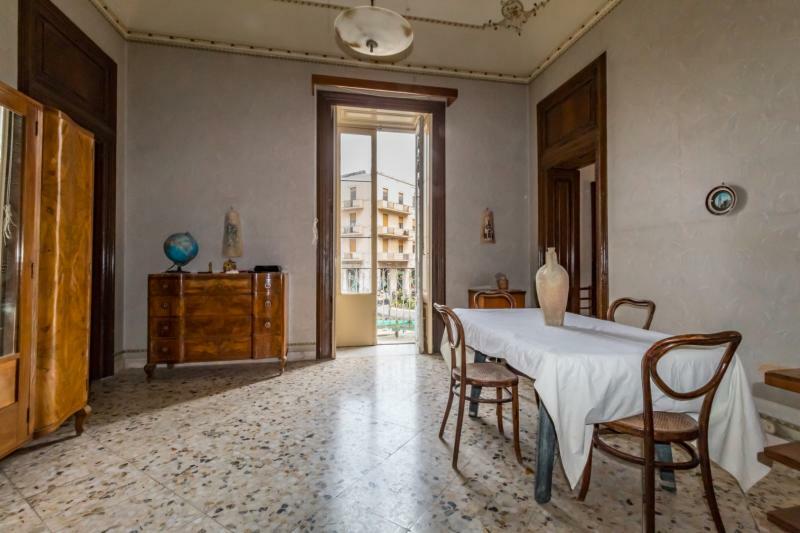 In the entrance hall there is a marble staircase, flanked by an elevator that makes access to the floors and the common terrace, on the top floor easier. 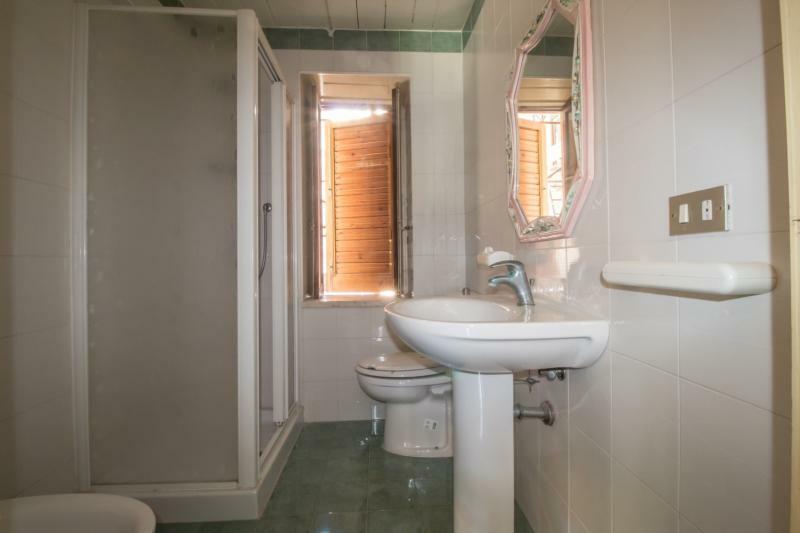 The apartment has two entrances, one central at the door of the building, and the other more defiladed, which gives access to the service areas of the house (kitchen and bathroom). 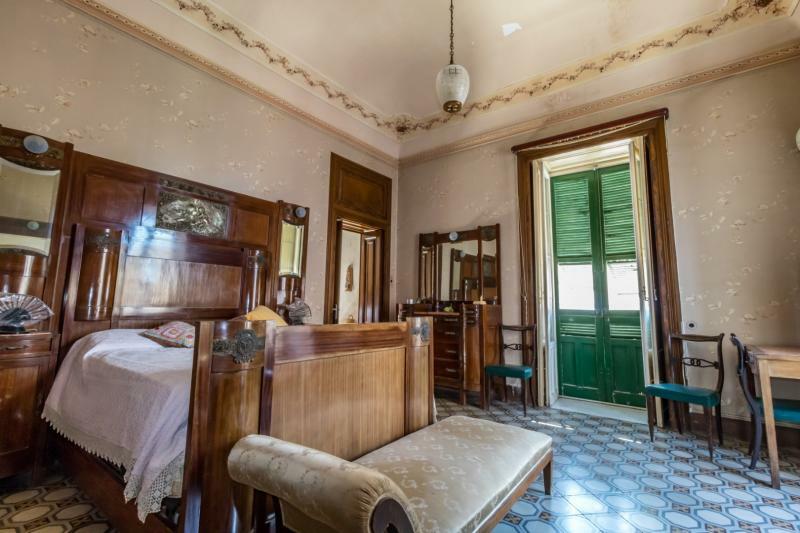 The structure of the rooms is typical of the era in which the building was built and is therefore characterized by a sequence of communicating environments, without disengagement. 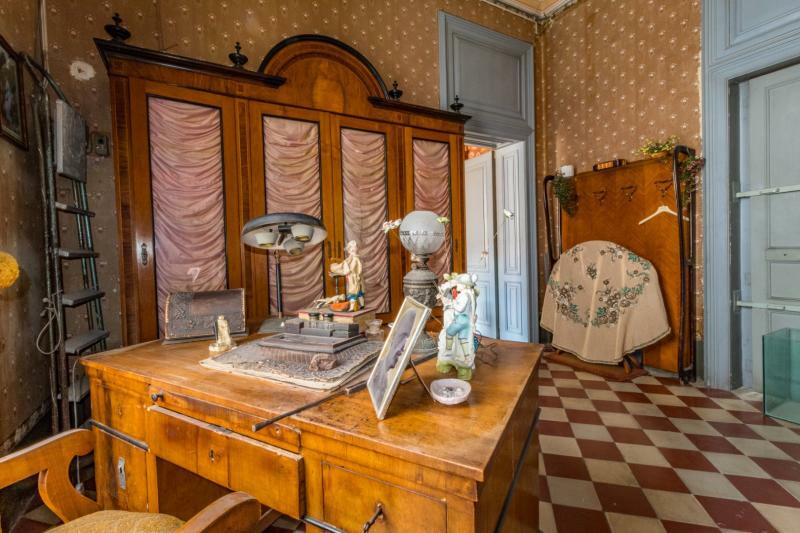 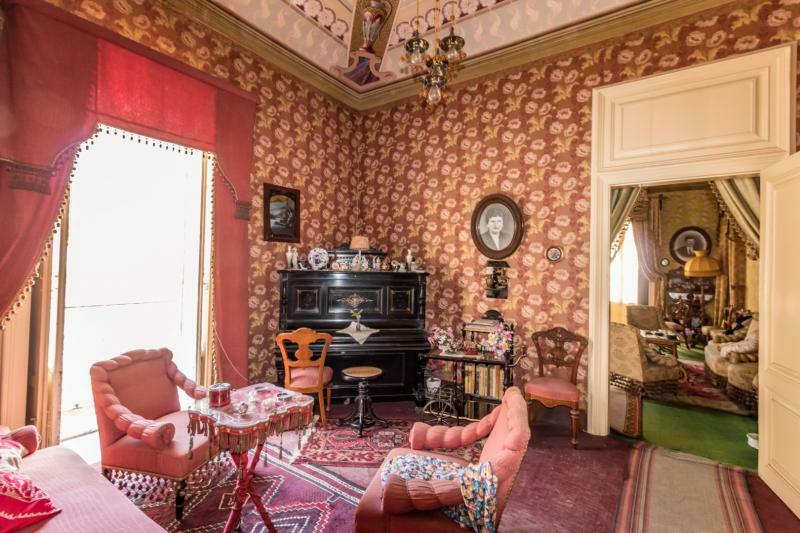 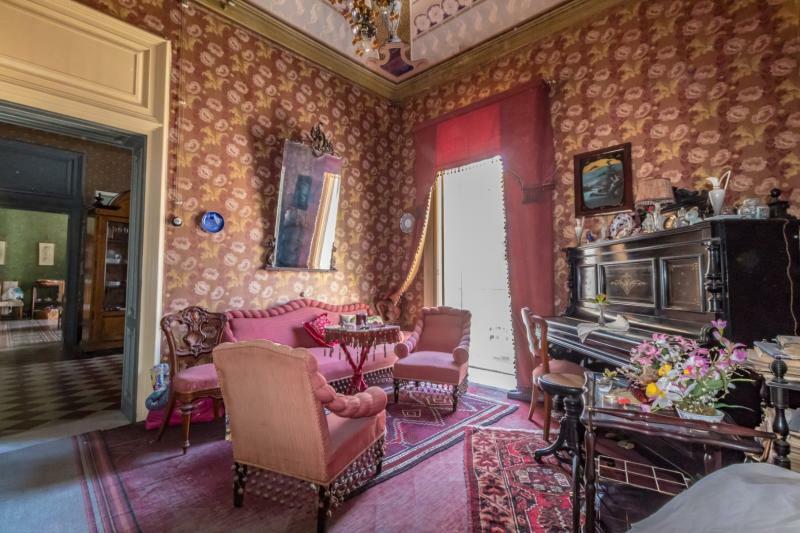 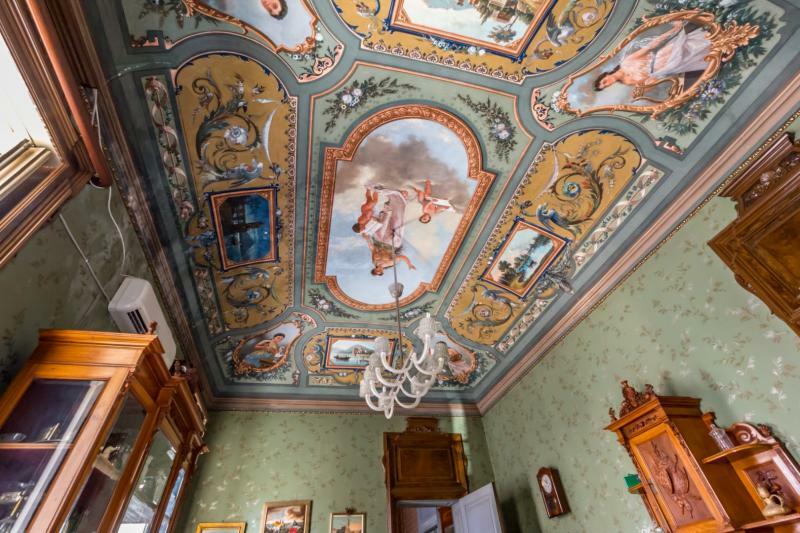 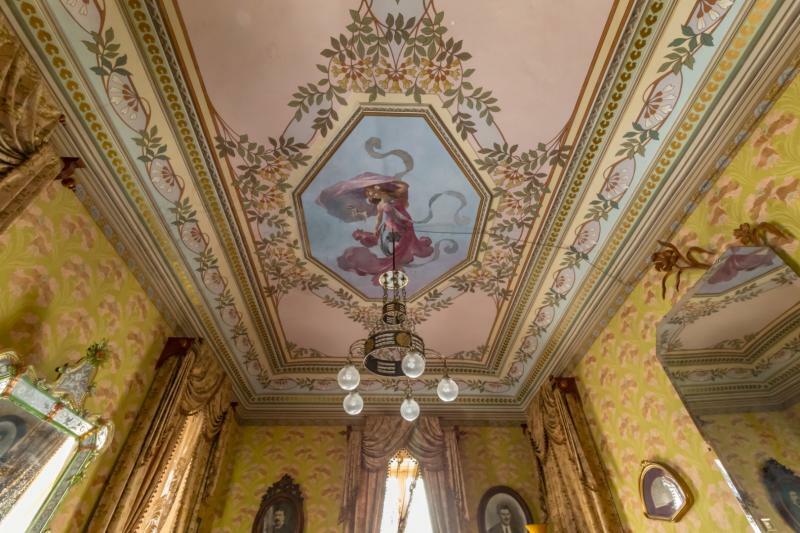 But the real peculiarity of this apartment are the frescoes with allegorical figures painted in the vaults of the living room and dining room, and all the friezes and decorations in all the other rooms. 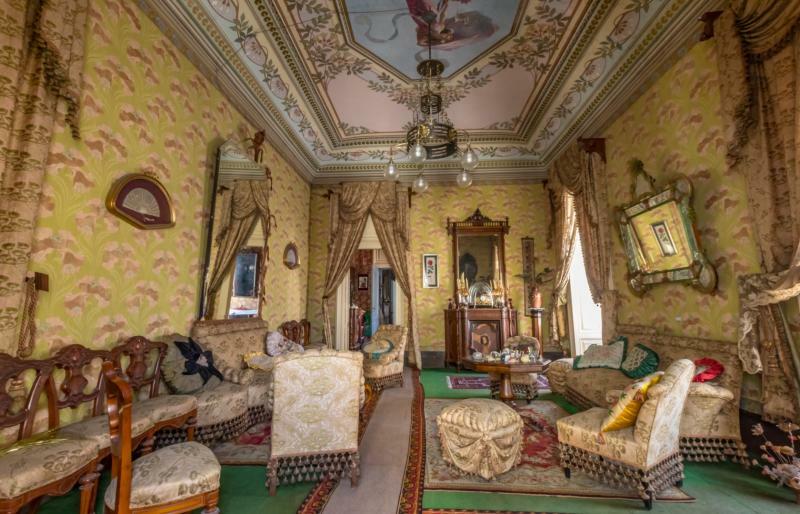 The original state of this apartment brings back to life atmospheres of other times full of beauty, elegance and nobility. 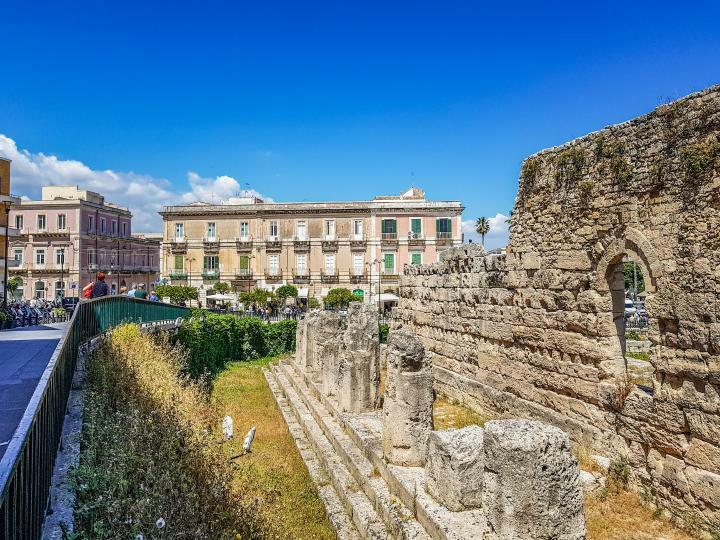 Another feature is the brightness that pervades every room: in fact on the main front there are 7 openings with French doors and balcony, three openings, always with a balcony overlooking the temple of Apollo and from which you can see the sea, and an opening on the opposite side. 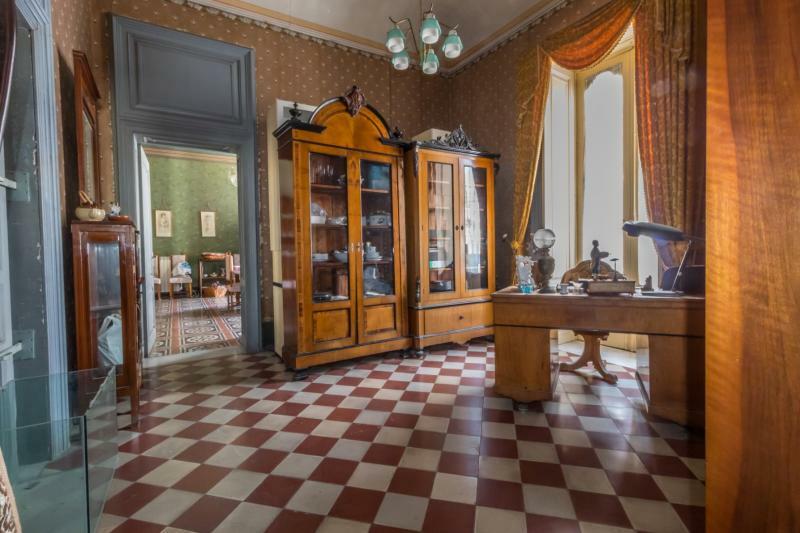 The destination of the interior spaces represents the original one in which there was an entrance, a study, a large living room, an important dining room, three bedrooms, a kitchen with a small pantry, a room in a loft for the servants and a bathroom. 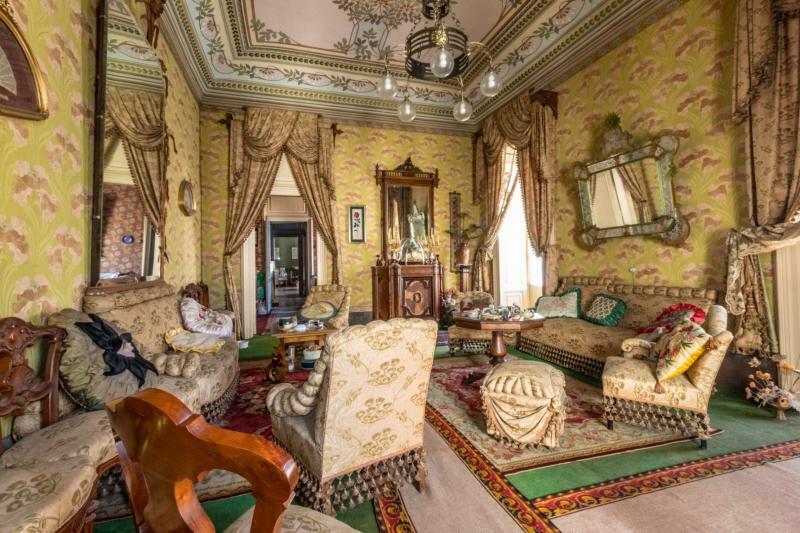 Given its unique characteristics, this apartment lends itself to various solutions, such as a prestigious private home, as a representative residence, but also as a luxury hospitality. 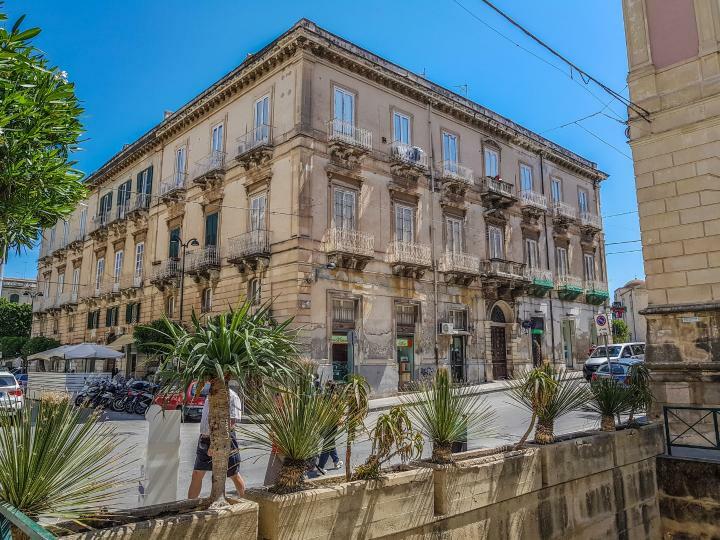 The building is receiving funding for the renovation of all the common areas (roof, courtyard, internal and external facades, replacing fixtures): part of these works has already been completed, while others are nearing completion.